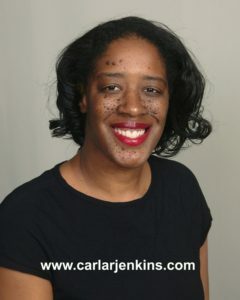 Carla R Jenkins, the CEO of Phenomena Corporation, a Washington, DC- based project management consultancy. Phenomena Corporation aims to help solopreneurs, small and medium-sized businesses better assess risks by streamlining their time, cost and resources. In addition, Jenkins is a stellar expert specializing in business, branding, project management and positive change management. Carla R Jenkins is a business visionary and trailblazer who coaches and leads organizations and individuals in meeting their business, economics, branding and project management needs. Furthermore, in 10 years’ work experience, Ms. Jenkins has received 4 promotions in 10 years, managed over 10 million data records, increased workflow efficiency by 25% through error reduction and saved over $2 million in lender fees by streamlining loan processes and operations. She is also the chief blogger for PositivityChange, a positive change management blog, and PM.Expert, a project management blog. She is a two-time Amazon bestselling author of Expand Your Personal Brand and HER Chronicles 2.